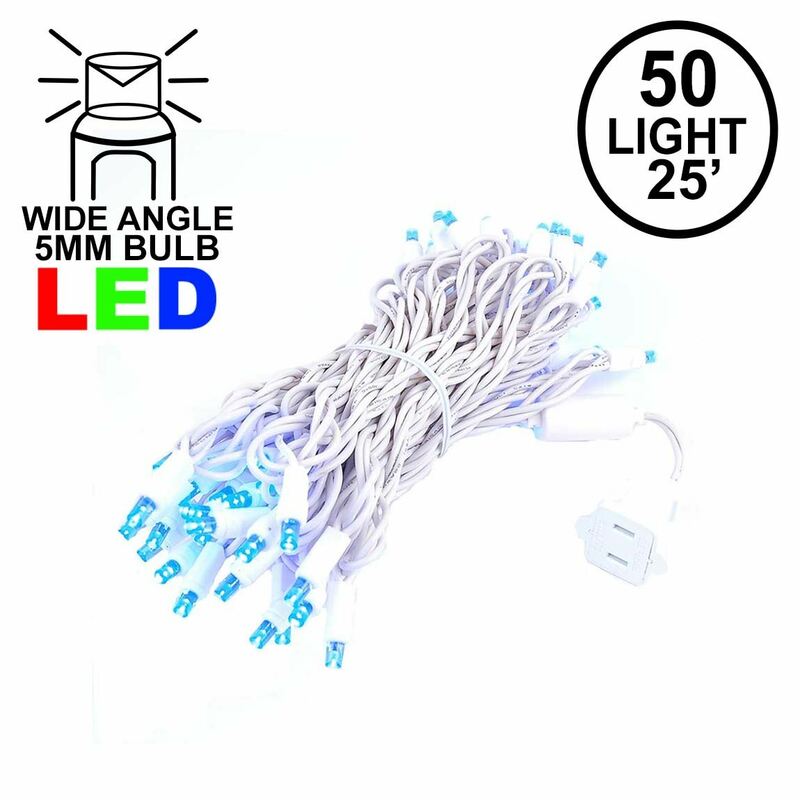 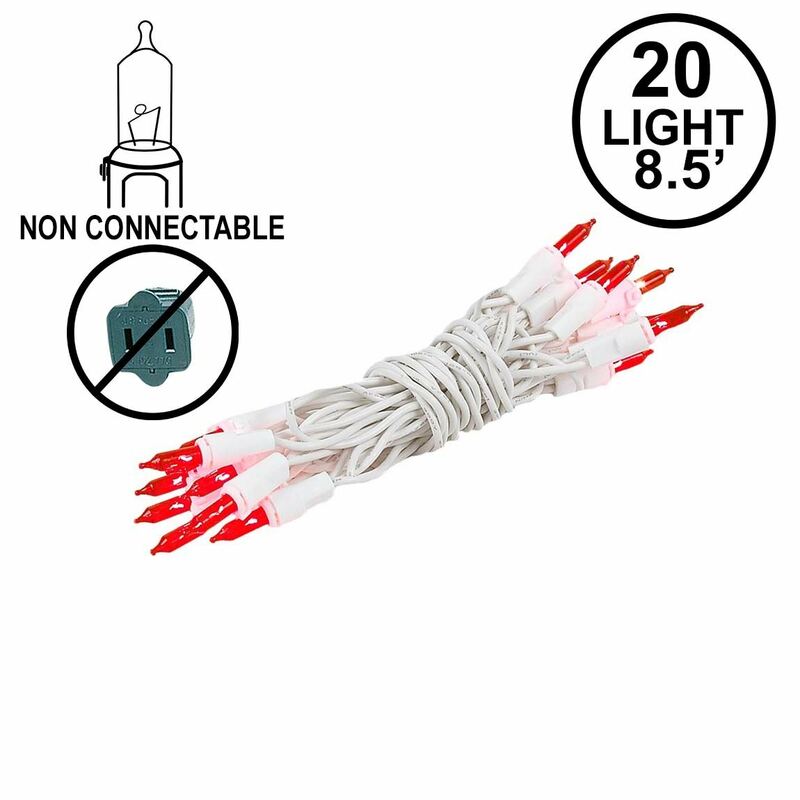 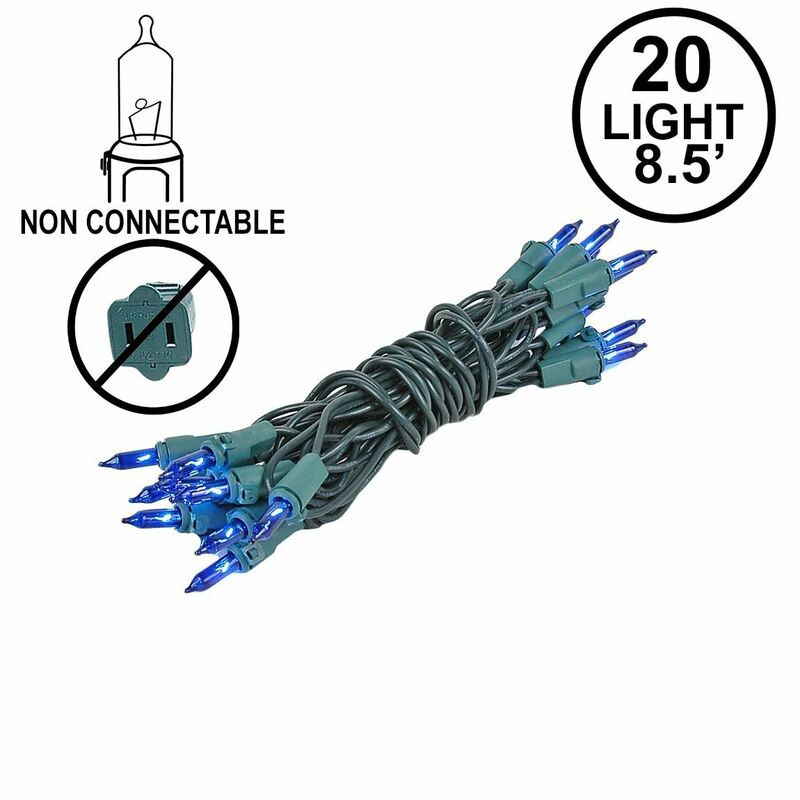 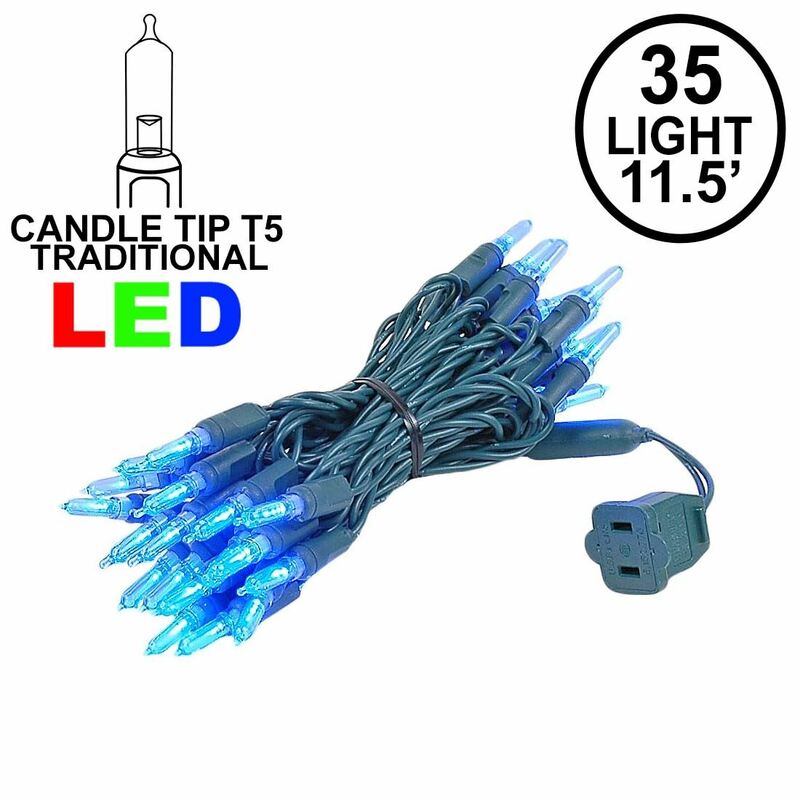 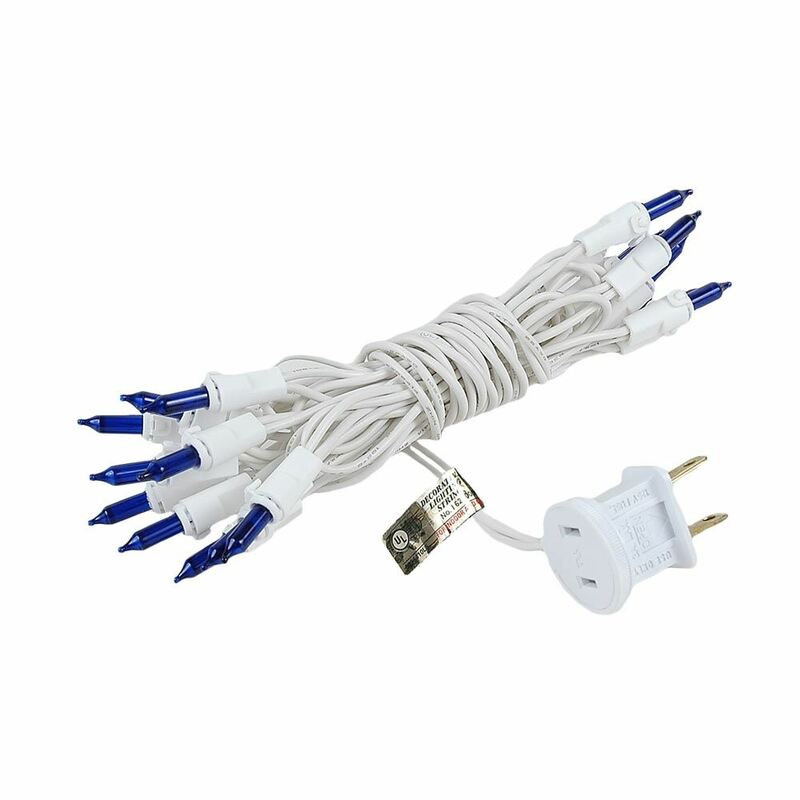 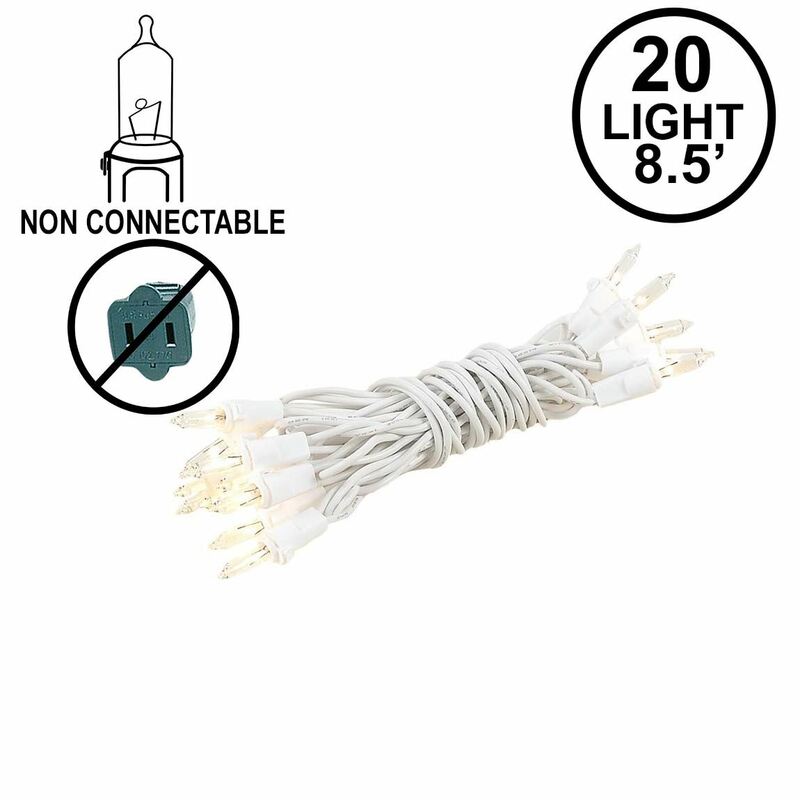 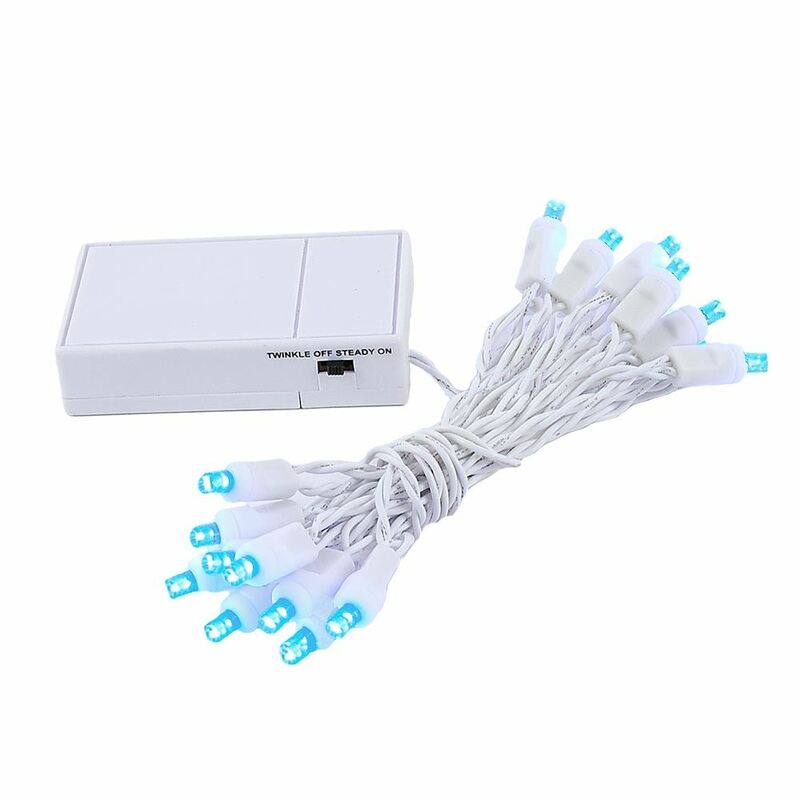 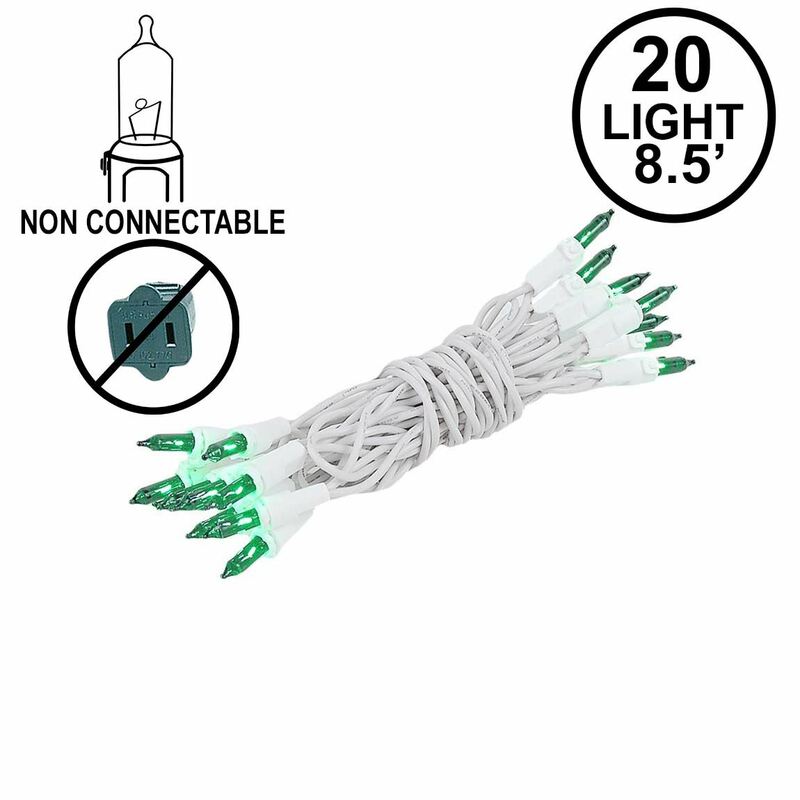 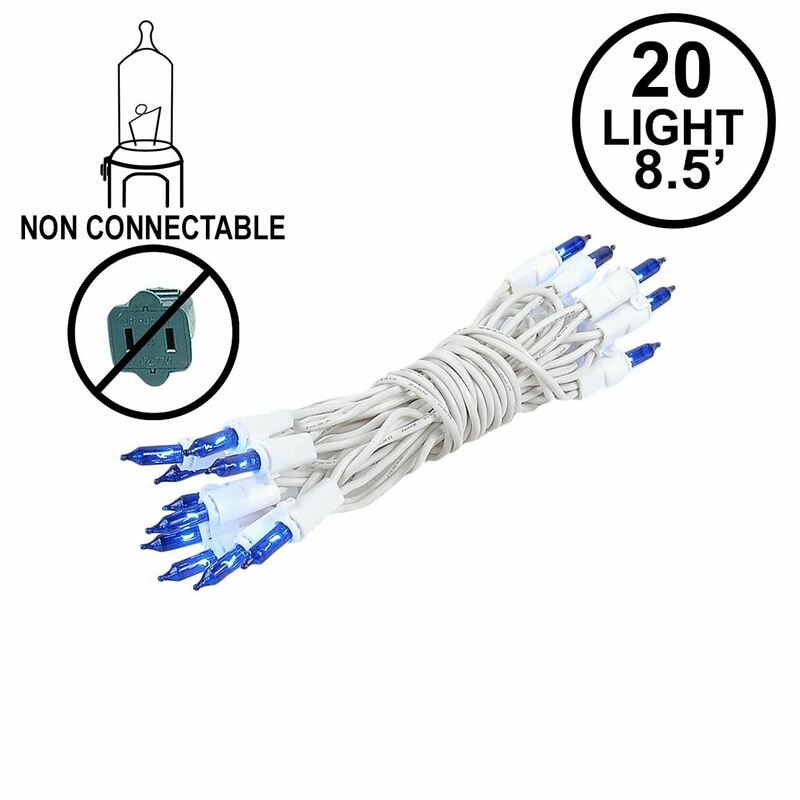 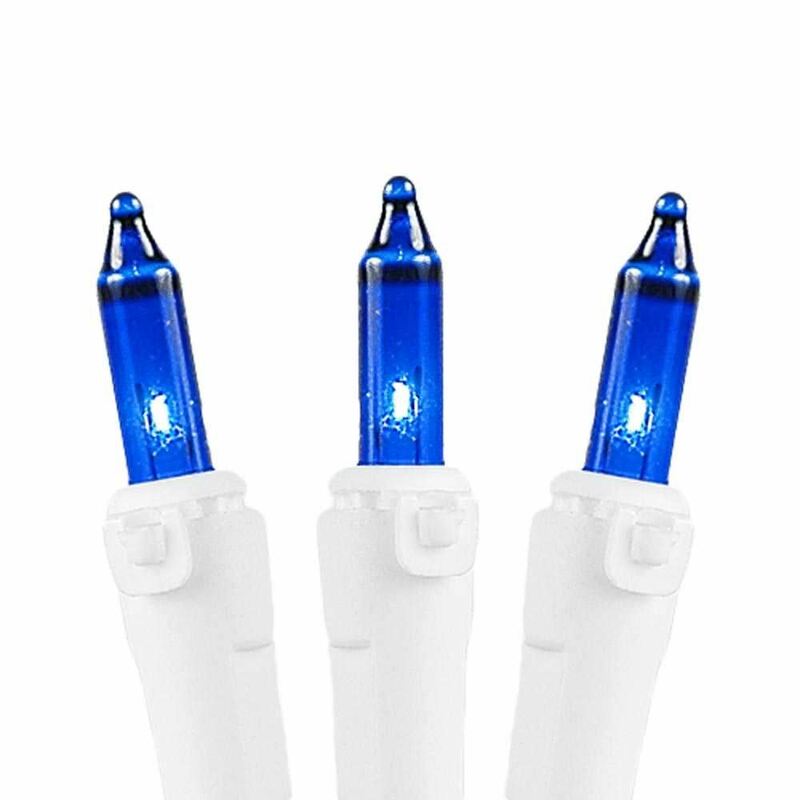 Our non-connectable (no end-to-end plug) 20-light set of white wire blue Christmas mini lights is perfect for craft projects like illuminating glass blocks or wine bottles because these mini light strings do not have the bulky female plug at the end of each string. 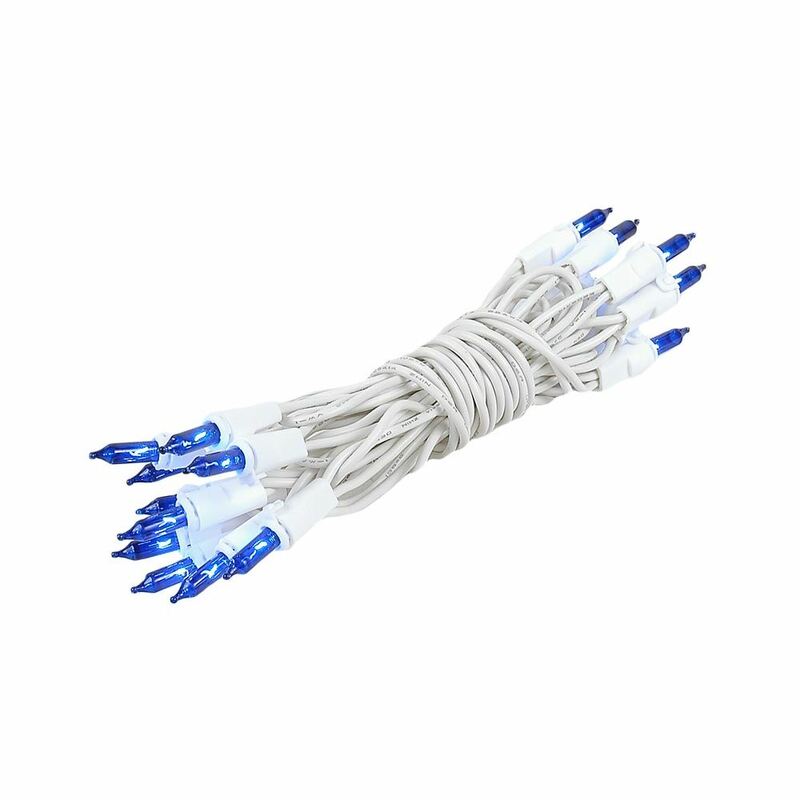 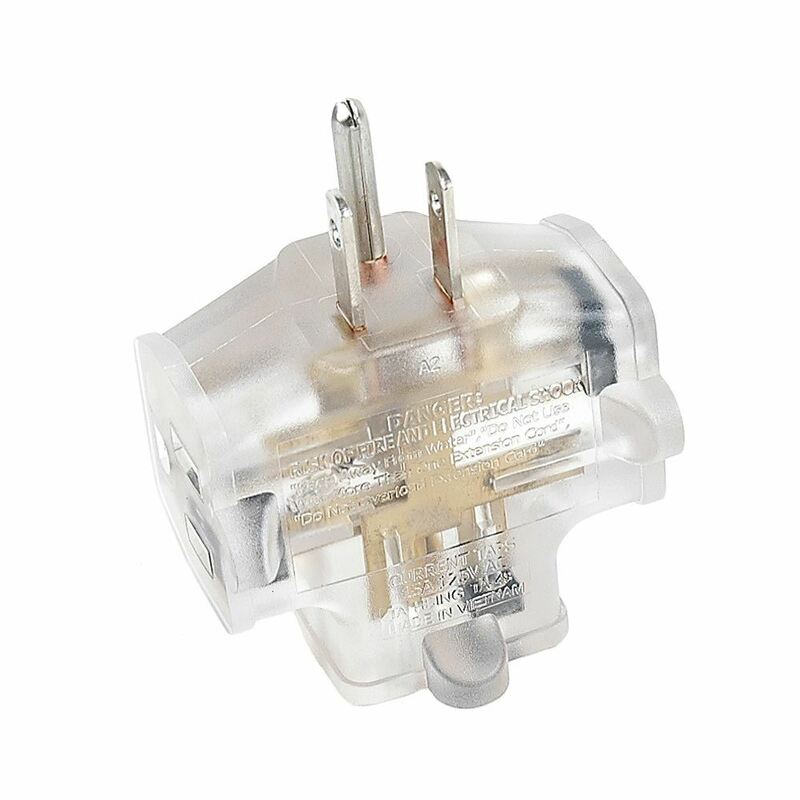 Each mini light set is made of 22-gauge wire and has snap-lock sockets to keep the bulb and socket secularly together. 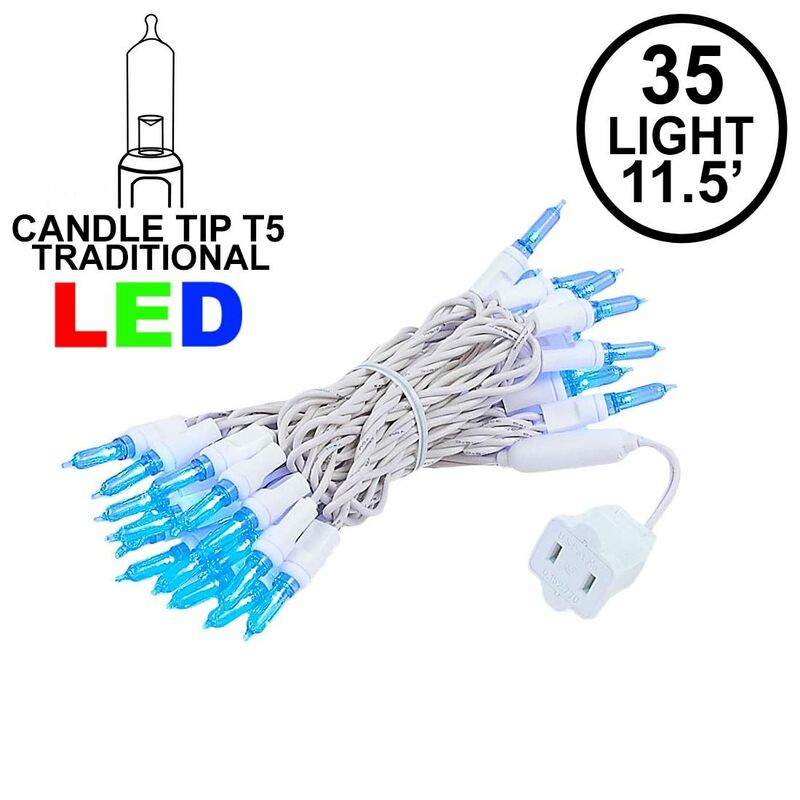 We also use our extended-life commercial grade 3,000 hour bulbs that are shunted so if one bulb burns out the rest will remain lit.